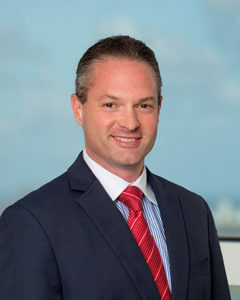 West Palm Beach partner Kevin D. Rosen is scheduled to present at three financial services programs this fall on Cybersecurity, Transnational Financial Cyber Crime, Cryptocurrencies, ICOs, and Blockchain Technology. Kevin, a former FINRA Enforcement Senior Regional Counsel & Cybersecurity Regulatory Specialist, is a member of Shutts & Bowen’s Financial Services Practice Group and Cybersecurity Task Force. Kevin focuses his practice on cybersecurity, privacy, data security, virtual currency, securities regulation, and financial regulation. Florida Securities Dealers Association (FSDA): On September 18, Kevin will moderate a panel at the FSDA Industry Outreach Program “An Evolution of an Industry: Challenges, Opportunities & Trends.” Kevin’s panel will focus on cryptocurrency & blockchain technology, and includes expert speakers from the U.S. Secret Service (retired), FINRA Member Regulation and the private sector. The event will take place in Tampa, Fla., at the Center for Advanced Medical Learning and Simulation (CAMLS) Auditorium. To register for the program, please click here. Financial Industry Regulatory Authority (FINRA): Kevin will be speaking at FINRA’s 2018 South Region Member Forum taking place October 17-18 in Atlanta, Ga. This event is designed to provide financial professionals associated with FINRA member firms in the South Region the opportunity to engage in key discussions with FINRA staff and connect with industry leaders and peers. The seminar will include thoughtful discussions around the future landscape of the financial services industry. Kevin’s panel will focus on emerging issues in the securities industry on cryptocurrencies, ICOs, Bitcoin ETFs, & blockchain technology. Kevin will present alongside FINRA Office of Emerging Regulatory Issues and SEC Enforcement panelists. To learn more, please click here. Florida International Bankers Association (FIBA): Kevin will also be presenting at FIBA CELEAS 2018 taking place October 29-30 at the InterContinental Hotel Miami. In its 33rd year, CELAES is a leading information security conference focused on the financial services industry. The event will include powerful panel discussions and intensive, targeted breakout sessions covering the latest, most compelling and relevant cybersecurity topics. The conference will provide attendees with the tools needed to address new threats, adopt emerging technologies, connect with industry leaders, and hear expert led sessions through keynotes, panel discussions, case studies and workshops. Kevin’s general session panel will include cyber experts from law enforcement and Microsoft, and discuss the latest on cryptocurrencies and the blockchain. To learn more, please click here. To register for this event, please click here. Established in 1910, Shutts & Bowen is a full-service business law firm with more than 280 lawyers with offices in Fort Lauderdale, Jacksonville, Miami, Orlando, Sarasota, Tallahassee, Tampa and West Palm Beach. Learn more about Shutts & Bowen at www.shutts.com.